Nevada currently has a TEFRA program and two HCBS 1915(c) waivers that serve children. Only the Katie Beckett TEFRA program waives parent income. For a list of Nevada's methods of accessing Medicaid for people who are disabled (MAABD program), see this overview. Nevada charges a family fee or "parental reimbursement" for families in all three waivers who earn more than 200% of the federal poverty level. See this Parental Reimbursement Worksheet. Nevada also has an adult-only waiver for Frail Elderly. Income Waiver: Yes, the program is based on the child's income only. However, a parent fee may apply. How to Apply: Apply for Medicaid and mention you want to apply for Katie Beckett, or contact DHCFP Reno or Las Vegas offices. Income Waiver: No, and a parent fee may apply. Description from medicaid.gov: Provides case management, homemaker, respite, attendant care, specialized medical equipment and supplies, assisted living, chore, environmental accessibility adaptations, home delivered meals, PERS for aged individuals and individuals with physical disabilities, ages 0-64. How to Apply: Contact your local Aging and Disability regional office. Waiting List: Nevada has 171 persons with physical disabilities on their waiting list. Description from medicaid.gov: Provides day habilitation, prevocational, residential support, supported employment, behavioral consultation-training & intervention, counseling, career planning, non-medical transportation, nursing, nutrition counseling, residential support management for individuals with ID, ages 0 - no max age. How to Apply: Contact your local regional center. 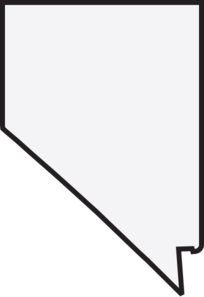 Waiting List: Nevada has 752 persons with intellectual disabilities on their waiting list.